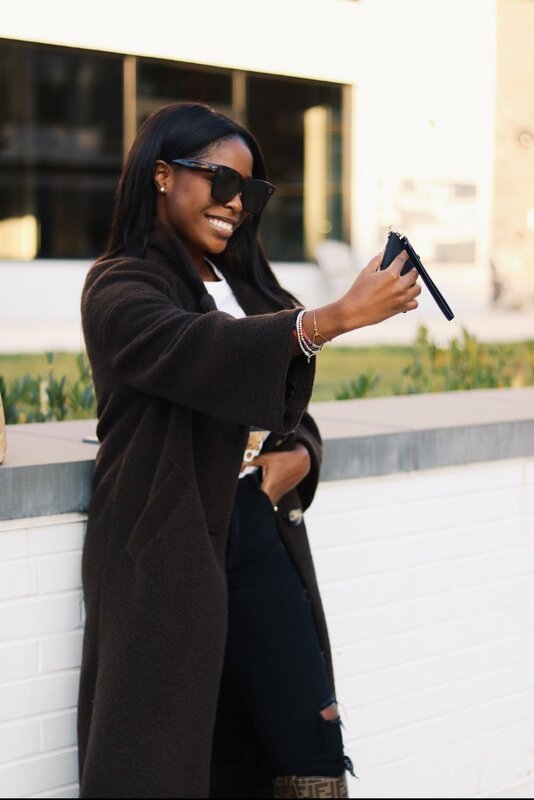 Hey Queens, I have partnered with my friends at Verizon to share my new tech favorite. I am always spilling the tea on the things that help me blog successfully and the Palm is one of them. I can access all of the apps I need and shoot content on the go to keep the looks coming your way! Keep reading to get the inside scoop on the newest addition to the Verizon line up. Compact Size: As phones get bigger and bigger this little device has been helpful when I want to get content at events but I need to be discreet, this is perfect. I can take pictures and video at the drop of a hat, I can also fit the Palm into my pocket or mini bag which has been a huge help when I’m on the go and I don’t want to hold my phone the entire time. Facial Recognition: This mini has advanced technology that saves you time and keeps you secure. I was really impressed with this capability and thrilled to not have to type in a password every 5 seconds, lol. Quick Actions: For me urgency is super important as I juggle a full time job and blogging, this device has helped me get to what I need just a little quicker. I can quickly access what I need through quick menus, gestures, and voice! The Accessories: I love a good gadget but I probably love accessorizing it more! To make this device even better it comes with tons of options to fit into your lifestyle. Some options include: arm bands for your active needs, wristlets the size of a card holder, and lanyard for your neck. Now If you are thinking this device seems similar to your smartwatch, I’m gonna stop you right there girlfriend because this is on a whole other level, lol. Check below for a few reasons why! 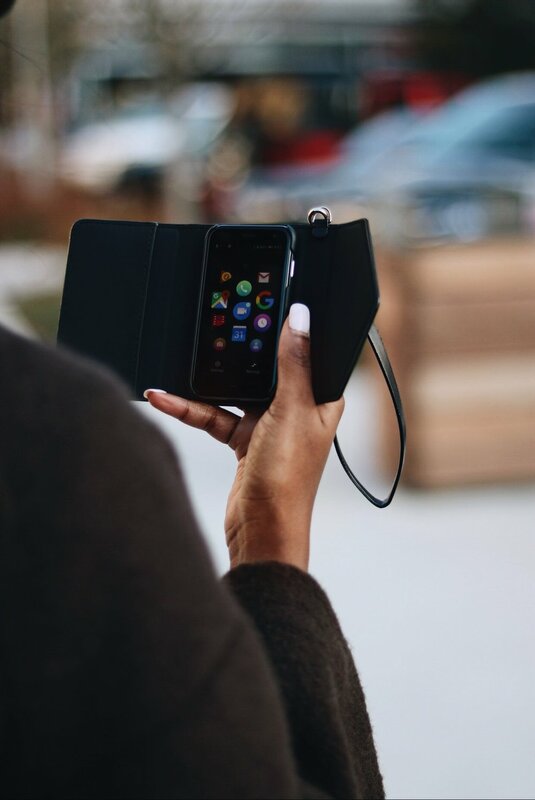 And that’s a wrap on my new favorite tech accessory, make sure you click the link below for even more details on the newest device from Verizon. Also let me know if you have any questions in the comments below, or if there is something you want to see next on the blog. As always thanks for stopping by, See ya! This blog post was created in partnership with Verizon.